The Partiologist: Mardi Gras Cookies! Okay, that about sums it up. 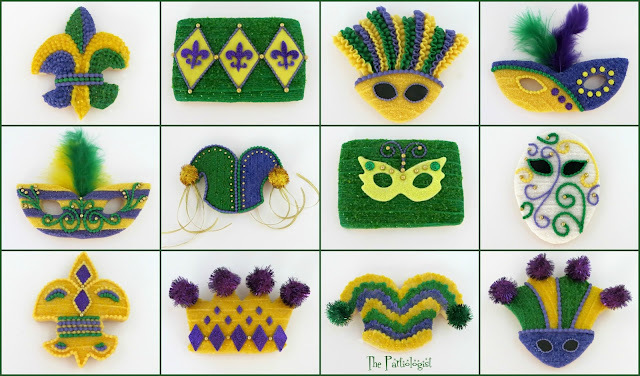 Well, I guess I do know a few things, like gold, purple and green. And cookies. And SPARKLE! 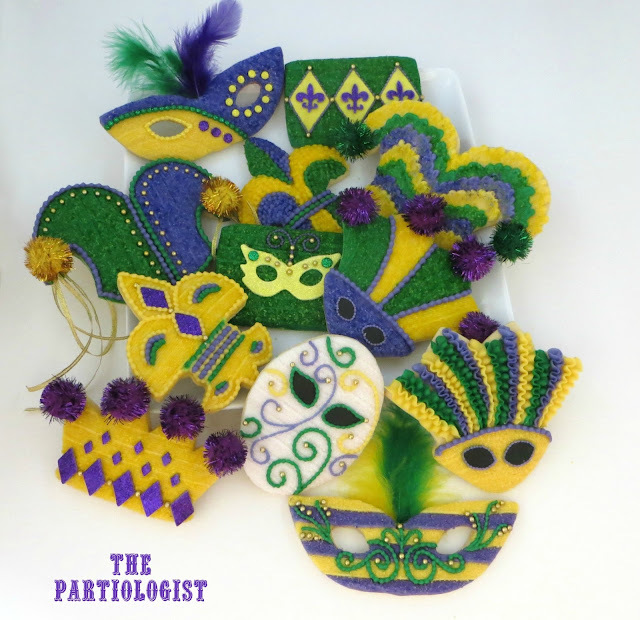 I had the opportunity to make these cookies and they get to go to a Mardi Gras Party, or I like to call it Pardi Gras. Each cookie was hand crafted with love and butter cream. Now are you looking for a tutorial? Let's just say, I had good intentions. If you really want to make any of these, just ask and I'll tell you how. 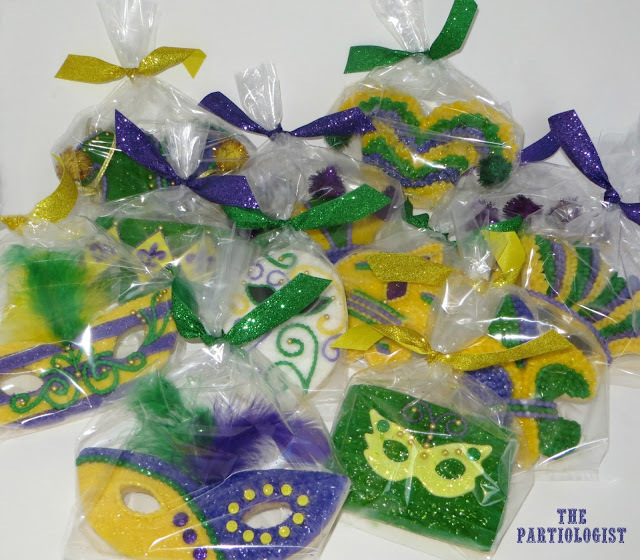 My cookies seem to have more fun then me, they go to party after party after party. Sometimes I wish I was a cookie...until someone takes the first bite. 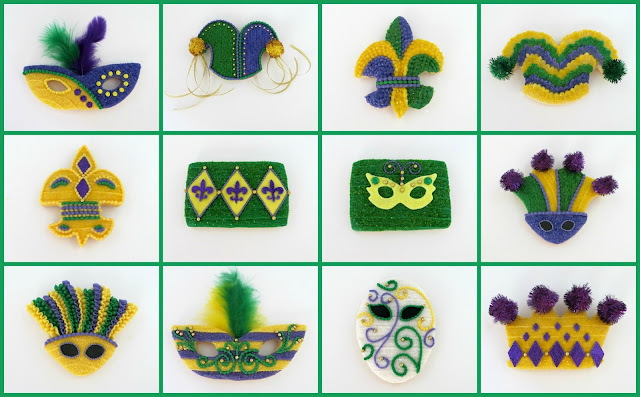 Now, if you want to learn how to make a King Cake, Sugar Ed Productions offers an incredible tutorial - HERE! Once you subscribe, you'll be amazed at how much is offered! I absolutely love these cookies! It makes me want to have a party today! Cook up a little gumbo and serve these cookies for dessert! Thanks for sharing...Love 'em! 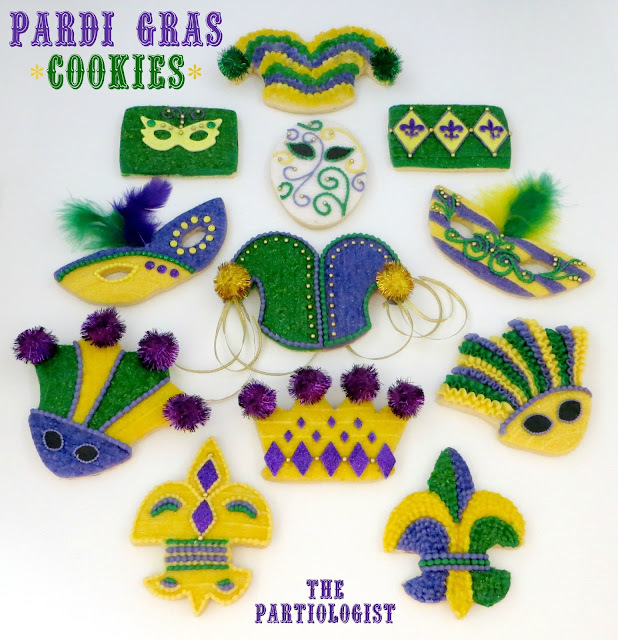 Lot of work into those Parti Gras Cookies! These are just really stunning, I wouldn't want to eat them, I'd want to hang them on the wall! You are the sweetest and I think everyone should know about the school! Looks like you and my cookies are having fun! Thanks Mike! These cookies are absolutely beautiful! Such detail! AMAZING!!! It's all in the detail - right? Thanks! These are wonderful. 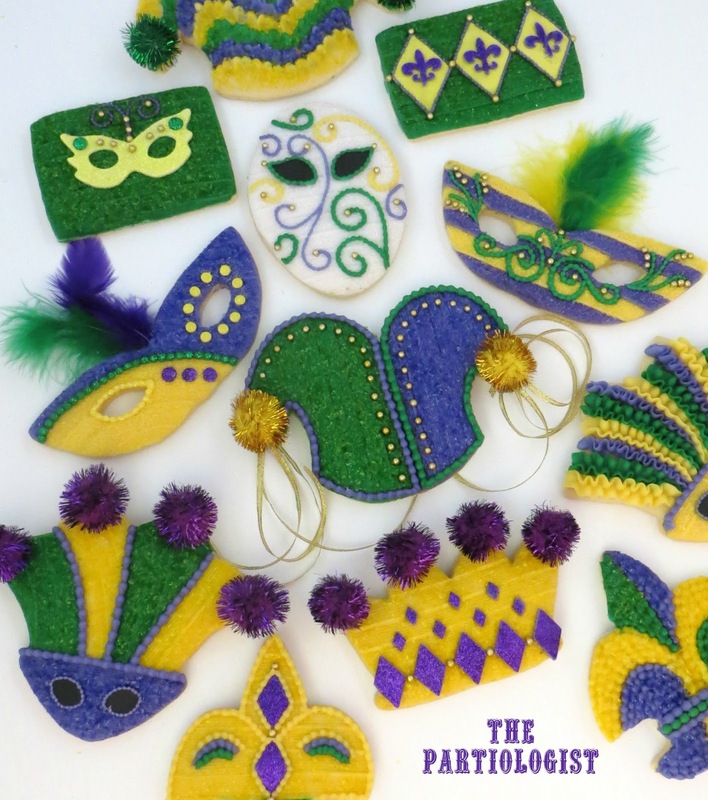 I love the colour scheme and the fact that you decorated them all with buttercream. Fabulous collection! You are so talented. Love visiting to see what ideas you come up with next...then using them to wow my coworkers :) Keep up the great work! You are so sweet - I'm thrilled that you are using my ideas to wow your co-workers!